Physical, Occupational, and Speech Therapy focused on progressive treatment. From our rehab back to your home. 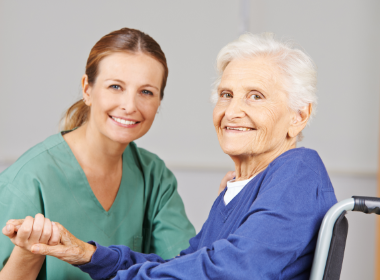 Occupational Therapy assists patients in learning how to safely and effectively carry out ADLs and instrumental activities of daily living (IADLs) and meet personal goals for regaining functional abilities. 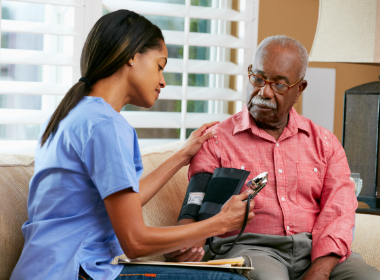 This process involves relearning ways of doing "common" activities (with or without assistive devices) and how to alter living environments to be conducive to a patient's temporary or permanent functional limitations. Patients who are in rehab for things like stroke recovery, a traumatic brain injury (TBI), or progressive neurological diseases can suffer from problems like aphasia, dysphagia, dysarthria, and paranoia, which affect the ability to comprehend and produce speech. 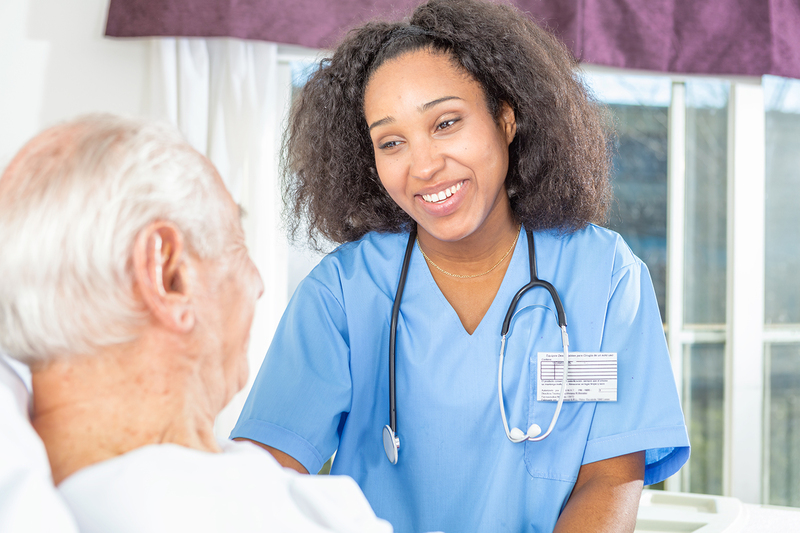 Working with a trained Speech-Language Pathologist can help these patients to regain and improve their communications skills and ability to safely eat and drink. 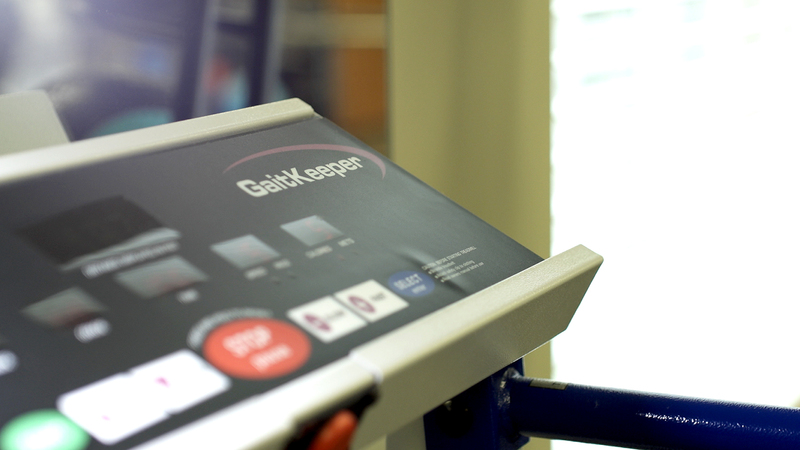 Fully equipped therapy gyms with state-of-the-art equipment featuring SciFit STEPONE™ Medical RECUMBENT STEPPER. 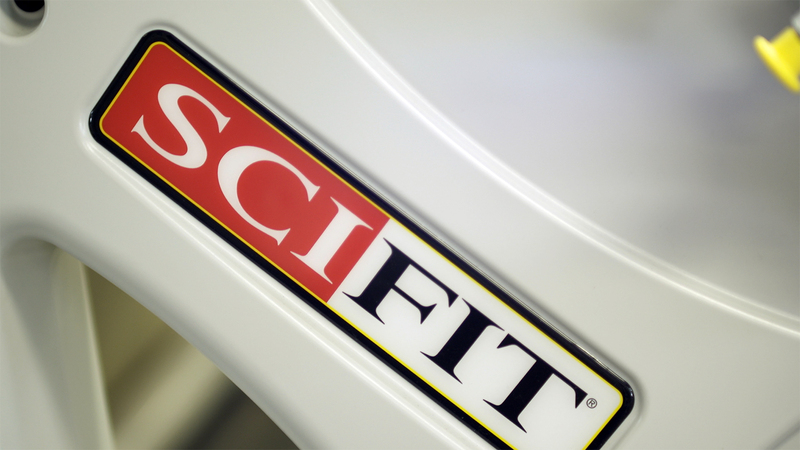 Using the SciFit helps improve arm-to-leg movement used in daily activities such as climbing stairs. Direct wheelchair access along with step-through seating and grab bar allows for easy access. Arm length adjustments and rotating handgrips provide user comfort and custom fit. 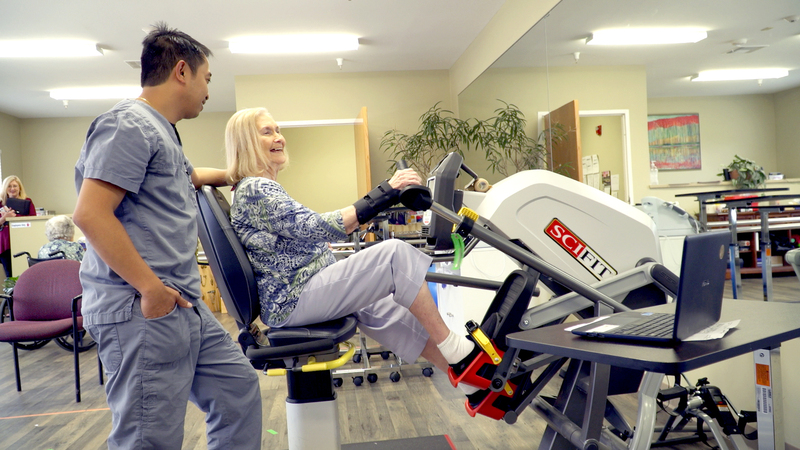 Advanced rehabilitation technologies utilizing Mobility Research’s – LiteGait System Body Weight Support Treadmill Training (BWSTT) for patients with Stroke, Spinal Cord Injury, Brain Injury, Cerebral Palsy, Multiple Sclerosis, Muscles Weakness, Amputations and Orthopedic Conditions. 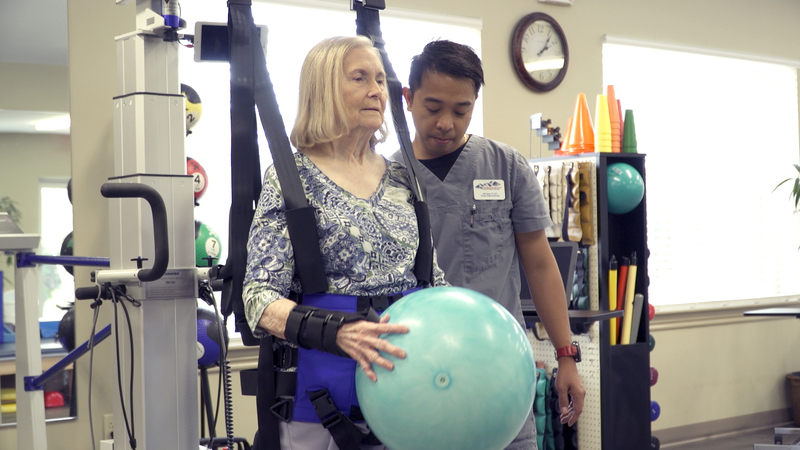 As a patient in our Rehabilitation Program, your care is provided by a physician-led specialty team that will work closely with your family to meet your specific goals. Ongoing communication and consultation with referring surgeons and physicians. The functional living area to practice newly learned therapy techniques and ensure a safe discharge. Specialized Out-Patient Services following discharge to the community. WiFi available to stay connected with your family during your stay. Licensed nurses and certified nursing assistants on duty. Medical Director on staff to work with both our Administrator and Director of Nursing. All meals planned by our Registered Dietitian. Providing more ways to monitor your health. Servicing our patients' pharmacy needs in one location.